Adobe Photoshop CC 2018 - the essential software for perfecting your images. It offers productivity and workflow enhancements, powerful new editing tools, and breakthrough compositing capabilities. Adobe Photoshop CC software accelerates your path from imagination to imagery. Ideal for photographers, graphic designers, and web designers, the professional standard delivers new features such as automatic layer alignment and blending that enable advanced compositing. Live filters boost the comprehensive, nondestructive editing toolset for increased flexibility. And a streamlined interface and new timesaving tools make your work flow faster. Adobe Photoshop CC Extended software delivers all the features in Photoshop, plus new features for working with 3D imagery, motion-based content, and advanced image analysis. If you work in film, video, multimedia, 3D, architecture, manufacturing, engineering, medicine, or science, Photoshop Extended is for you. Adobe Photoshop CC 2018 gives more freedom, speed, and power to make incredible images real. You'll get dozens of new and reinvented features, including the most advanced sharpening tool available. 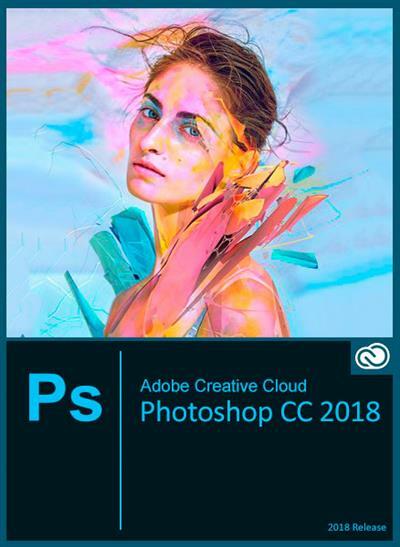 Adobe Photoshop CC 2018 is part of Creative Cloud. That means you have access to all the latest updates and future releases the moment they're available. Use Save to Cloud to keep your files organized across multiple computers. And with Behance integration, you can share your projects straight from Photoshop CC and get immediate feedback from creatives around the world. The original 32-bit and 64-bit distributions are combined in a single installer. The original installer of the program has essentially been reworked and optimized. In particular, you can choose the installation path and the language of the program interface. From the installer, with the exception of the minimum required, the Adobe Creative Cloud module is installed, which is installed by the original installer without fail. From the installer, with the exception of the minimum required, the Adobe Desktop Common module is installed, which is installed by the original installer without fail. The components of Adobe CoreSync, Adobe CCX Process and Adobe CC Library are excluded from the installation package. In the menu for selecting the language of the installed program, a false indication of the support of additional six languages ​​has been fixed. The distribution is integrated with the update for Adobe Photoshop CC 2018 64-bit to version 19.1.6.398. The distribution is integrated with the update for Adobe Photoshop CC 2018 32-bit to version 19.1.6.398. The distribution is integrated with the update for Adobe Camera Raw to version 10.5.0.32. In the folder Crack inside the image there are a set of tools and detailed instructions for treating the program. The method of treatment due to the generation of the product key is significantly simplified and optimized by me.